The Government was today ordered to release the minutes of Cabinet discussions where ministers discussed military action against Iraq. 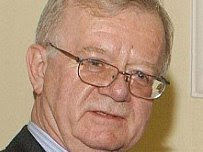 Richard Thomas, the Information Commissioner, said the papers should be released under the Freedom of Information Act because of the "gravity and controversial nature" of the discussions. Ministers said that they had not yet decided whether to appeal against the decision. 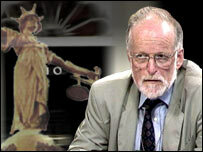 It marks the latest stage of a battle over the March 2003 meetings, where ministers discussed the advice by Lord Goldsmith, then the Attorney-General, on the legality of the war in the run-up to the invasion which toppled Saddam Hussein's regime. The Cabinet Office has refused to make the details public on the grounds that the papers were exempt because they related to the formulation of Government policy and ministerial communications. I, Neil Wigan, of the Foreign and Commonwealth Office, London SW1A 2AH, the United Kingdom, make this statement in support of the Foreign and Commonwealth Office (FCO), the Appellant in these proceedings. 1. I am currently the head of the Arab, Israel and North Africa Group at the FCO. I am responsible for bilateral relationships with countries in the above regions, including Israel. I have held this post since February 2006. Prior to holding this post I was head of the Political Section in the British Embassy in Tel Aviv, a post which I held from August 2002 until January 2006. 2. I was shown a copy of the document which is the subject of this information request for the first time on Monday 15 October 2007. I have considered the marginal, handwritten notes on the document and have read those of them which are legible to me. I am not aware who wrote the notes. 3. On page 3 of the document, I refer to the marginal references in the first paragraph to Israel. The reference to Israel is linked (by a hyphen) to a sentence which reads: "No other country has flouted the United Nations' authority so brazenly in pursuit of weapons of mass destruction". I interpret this note to indicate that the person who wrote it believes that Israel has flouted the United Nations authority in a manner similar to that of the Iraqi regime of Saddam Hussein. 4. I have read the remaining marginal notes in the document and those do not appear to me to relate to Israel. As such my concerns in relation to the marginal notes on the document are limited to those adjacent to the first paragraph on page 3 referred to above. 5. I believe that if these comments were released into the public domain, this would seriously damage our bilateral relations with Israel. In my view, Israel will, in seeing these comments believe that the FCO has firstly, compared the Israeli regime to that of Saddam Hussein's Iraq, and secondly, suggested that Israel has flouted the authority of the United Nations in pursuit of weapons of mass destruction. Although the author of the marginal notes is unknown, I believe that the Israeli government would consider it likely that they would have been written by a senior figure. The assumption could, and I believe would, easily be made that these marginal notes represent the views of the FCO in relation to Israel. 6. Both the comparison with Saddam Hussein's Iraq and an implied accusation of a breach of the UN's authority by Israel are potentially very serious. In my view it is inevitable that the relations between the UK and Israel would suffer if the reference in page 3 of the Williams draft were allowed to enter the public domain. 7. I am confident of this because of my extensive experience working in that region. During the last five years or so working in both the British Embassy in Tel Aviv and as Head of the Arab, Israel and North Africa Group at the FCO here in London, I gained much experience of handling difficult bilateral issues concerning Israel, anticipating potential issues, and trying to minimise the damage from them. I have seen that far more minor matters than this have been of great concern to the Israeli authorities. Unfortunately there is a perception already in Israel that parts of the FCO are prejudiced against the country. These notes would therefore confirm this pre-existing suspicion and would increase the damage. During the last five years there were approximately 10 substantial incidents and 20 more minor ones relating to Israeli concerns over perceived attitudes about their regime within the British government. 8. I am certain that the release of this information would be given a large amount of attention in the media in the UK. Any news in relation to Israel is high profile at present, and in particular, and (sic) criticism of Israel receives a huge amount of media coverage. This would give the comments high profile. Not only that but in my view the Israeli government would also raise this with the foreign secretary and would brief the United Kingdom, Israeli and international media about the existence of the comments and Israeli concerns in relation to them. 9. That would be particularly damaging at this time. The region of Israel and Palestine is currently experiencing a time of extreme regional fragility and relations are particularly delicate. Furthermore, in November this year there is a major conference taking place which will lead to a key period of diplomatic relations between those nations and the UK. The conference is a US sponsored conference on the Middle East peace process. The FCO will play an important role in supporting that conference and will be closely involved in events following the conference. Ensuring its success is a key priority for this department. 10. For the reasons given above I believe that our bilateral relations would be affected very seriously by the disclosure of this report. This would not be in the public interest test for the following reasons. 11. Harming our bilateral relations with Israel would in turn affect the UK's ability to pursue a wide range of international objectives as set out in a white paper entitled Active Diplomacy for a Changing World: the UK's International Priorities launched in 2006. That white paper analyses the changes we are likely to see in the world over the next decade and the UK's role in the international system and identifies the international priorities for the UK over that period. Of those international priorities my concern is that harming relations with Israel would undermine the FCO's ability to pursue "strategic priority three" the objective of which is preventing and resolving conflict through a strong international system. 12. Resolving conflict includes resolving both the Israeli/Palestine conflict as well as the Arab/Israeli conflict in the Middle East. Both the prime minister and the foreign secretary have indicated that it is a priority for the UK to achieve a peaceful solution to conflict in that region, not only because of British interests in those countries (more than 10 British nationals have been killed in Israel and Palestine since 2000 and in the summer of 2006, around 2,500 British nationals were evacuated from Lebanon because of the Israeli/Lebanon conflict), but in our broader regional interest. There is also an important national interest in relation to counter-terrorism. 13. In his most recent statement to the House of Commons on Iraq [made on [ ] the prime minister referred to the Israeli/Palestinian conflict and said that he had come back from the region convinced of the need to address the conflict as a priority. 14. The bilateral relationship between the UK and Israel is a key part of our ability to advance peace in relation to the Israel/Palestine and Arab/Israeli conflict. Good relations with Israel are essential in this regard; without active and constructive engagement and by (sic) Israel conflict resolution is impossible. 15. In my view it is almost certain that the release of this information would prejudice relations between the UK and Israel and that the public interest favours protecting it for the reasons given above. I believe the facts stated in this witness statement to be true to the best of my knowledge and belief. The line between freedom of information and censorship is a narrow one. This week the information tribunal ordered the publication of an early draft of what would become the dodgy dossier making the case for war. That was openness. But one word was suppressed - the word "Israel". That, on the arguments advanced for its suppression, was craven and in any other context would resemble an act of censorship. We can only guess as to the reasons why the tribunal decided the word should be suppressed. It deliberated in secret and delivered a confidential judgment in respect of the excision. This was the opposite of openness. The word "Israel" was written in the margins of the draft document by an unknown - but presumably senior - hand. It referred to a sentence which said of Saddam's Iraq: "No other country has flouted the UN's authority so brazenly in pursuit of weapons of mass destruction." 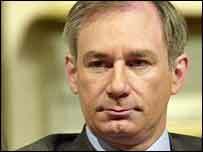 The implied meaning of the margin note was well articulated by a senior Foreign Office official, Neil Wigan, in trying to argue for its suppression - that "the person who wrote it believes that Israel has flouted the UN authority similar to that of the Iraqi regime of Saddam Hussein". 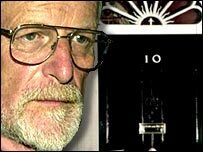 The battle over the Iraq dossier draft has followed a familiar pattern of Whitehall attempts to block freedom of information requests. When a researcher first applied to the Foreign Office for the release of the draft dossier, it turned the request down. The ministry then failed to conduct the required internal appeal against its decision. Its next move was to try to persuade the information commissioner, Richard Thomas, that the document - including the word "Israel" - was exempt under section 36 of the Freedom of Information Act, concerning free and frank discussion. That failed and Thomas ordered disclosure of the entire document, Israel and all. So the Foreign Office appealed to an information tribunal. This time it claimed the word Israel breached section 27, covering international relations. The full extent of government anxiety about the state of British-Israel relations can be exposed for the first time today in a secret document seen by the Guardian. The document reveals how the Foreign Office successfully fought to keep secret any mention of Israel contained on the first draft of the controversial, now discredited Iraq weapons dossier. At the heart of it was nervousness at the top of government about any mention of Israel's nuclear arsenal in an official paper accusing Iraq of flouting the UN's authority on weapons of mass destruction. Opposition parties renewed calls for an inquiry into the origins of the Iraq war yesterday as the government published a contentious early draft of the dossier on Iraq's alleged weapons programmes. 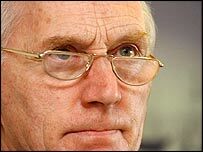 Critics of the war have long claimed that the document, drafted by a former communications director at the Foreign Office, would highlight any political influence exerted on intelligence agencies to justify the invasion. 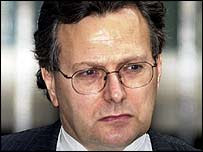 LONDON (AP) - Britain's Foreign Office says it has released an early draft of a 2002 dossier involving prewar intelligence on Iraq. The release follows a Freedom of Information request. 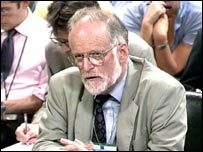 The file on Iraq's weapons of mass destruction capabilities was prepared by the ministry's head of communications at the time, John Williams. But the file is not thought to contain a claim that Iraq could launch a strike with weapons of mass destruction within 45 minutes. Campaigners allege the claim was inserted into later drafts in an attempt to bolster ex-Prime Minister Tony Blair's case for war. The claim was later discredited. The secret first draft of the notorious Iraq dossier that helped to take Britain to war is expected to be released tomorrow, in a victory for freedom of information campaigners. 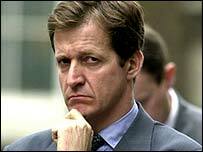 The early version written by John Williams, then director of communications at the Foreign Office, has been the subject of a three-year legal wrangle amid hopes that it could reveal whether the supposedly intelligence-led dossier was actually based on a press officer's script - and whether it was subsequently 'sexed up' by Alastair Campbell. 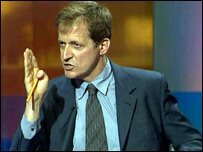 The draft is understood not to contain the infamous claim that Saddam Hussein could launch a strike with 'weapons of mass destruction' within 45 minutes, a claim that was central to the final 'dodgy dossier'. 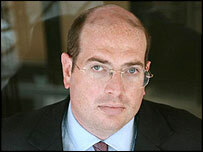 The Hutton inquiry into the road to war on Iraq identified the existence of an early draft by Williams, but was told by Campbell that it had become 'redundant' when John Scarlett, then chairman of the Joint Intelligence Committee linking Downing Street to the security services, took charge of the process. 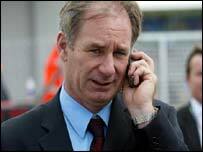 However, an information tribunal last month ruled that the Williams draft should be disclosed. Anti-war campaigners regard it as key evidence of who introduced the most contentious material into the final draft, and whether Scarlett was too heavily influenced by aides with an interest in making a case for war. Williams said that critics of the war were likely to find significant similarities between his draft and Scarlett's version, but insisted that should not be surprising since both were working with 'the same assumptions, the same policy, with much of the same material'. David Miliband, the Foreign Secretary, is expected to confirm in a statement to the Commons tomorrow that the government will bow to the information tribunal's ruling, rather than exercising ministerial powers to veto it or challenge it in court. Ministers had argued that the draft should not be disclosed because it jeopardised the confidentiality - and therefore candour - of advice given to them by civil servants. The release is in response to pressure by Chris Ames, a former charity worker from Surrey, who began pursuing the document early in 2005. 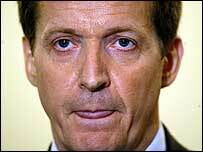 The government will hope that the publication finally draws a line under the sorry saga of the dossier, which led indirectly to the suicide of scientist David Kelly after he was identified as the apparent source of BBC reports that the dossier had been 'overspun' by Campbell. The government official who wrote the first draft of the "dodgy dossier" that helped propel Britain into war in Iraq today admits, "We were wrong." John Williams, a former Foreign Office aide, said last night that publication of his document would expose how members of Tony Blair's team were locked in a mindset that made military action inevitable. 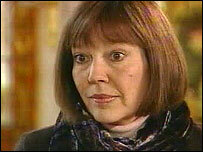 On Wednesday, ministers will hit a deadline for publishing the 2002 document, after years of resistance. 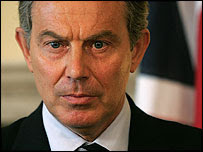 The Williams draft was written in September 2002, only days after Mr Blair, then Prime Minister, announced that the Government would publish a dossier of intelligence showing that Saddam Hussein threatened the world with his weapons. 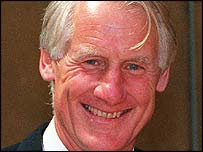 The draft was not disclosed at the Hutton inquiry into the death in 2003 of the former Iraq arms inspector David Kelly. 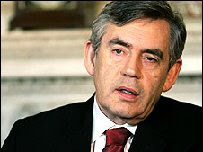 The scientist had suggested the dossier was exaggerated to justify the UK joining the 2003 invasion. 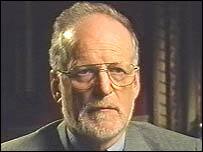 Mr Williams, press secretary to three foreign secretaries, said that the dossier would show how wrong the Blair team was about Saddam's alleged possession of WMD. 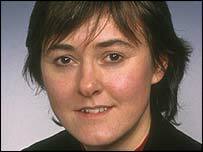 Mr Williams said: "The argument was that here was someone who had been known to possess illegal weapons. We regarded him as a threat." He added: "The document will show the mindset that everyone had. It was wrong and we know that now." The Government has yet to decide whether to publish the draft dossier, in line with an information tribunal judgment last month. Ministers have insisted that the dossier was entirely the work of intelligence agencies, but Mr Williams's role remains unclear. 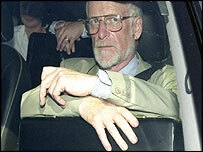 Mr Williams denies that he came up with the claim that Saddam could have launched a WMD strike within 45 minutes. He said: "I was a member of the team looking at it.... I used the available information to write it, but [intelligence chief] John Scarlett was then commissioned to write it instead." Andrew Murray, chairman of the Stop the War Coalition, said it was time the British people were told the truth: "The issue is how much the decision was based on intelligence, and how much [it was] a product of manipulation in Downing Street."